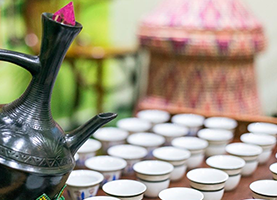 Abyssinia Restaurant and Cafe is the name to trust for mouthwatering and authentic Ethiopian cuisine. Get A Taste of Ethiopia! 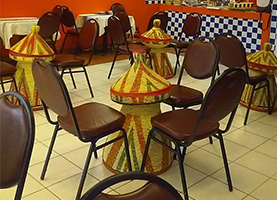 Abyssinia Restaurant and Cafe is an Ethiopian restaurant in Phoenix, AZ. We are proudly celebrating our grand opening this summer. With the support of the community, we are already developing a reputation for providing excellent customer service and high-quality food. Our staff makes providing our patrons with exceptional customer service their highest priority. Our lengthy menu has something for everyone. We have an extensive list of vegan, vegetarian, and gluten-free dishes. 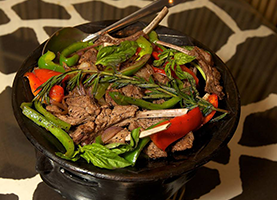 For you meat lovers, we have delectable lamb, succulent beef, and mouthwatering chicken dishes. Do you want something not on the menu? Feel free to run it by us. Our talented chefs are more than willing to customize a meal just for you. Whether you are an East African craving a taste of home or someone curious about exotic foods, we have options for even the pickiest of eaters. For those of you who come for authentic Ethiopian fare, you are in for a treat. Our menu is filled with East Africa’s most beloved dishes, like bayenetu, injera, shiro, and chechebsa. At Abyssinia Restaurant and Cafe, you never have to worry about getting day-old fare. Our food is made daily with fresh ingredients. For our coffee connoisseurs, you too have come to the right place. At Abyssinia Restaurant and Cafe, we take pride in our continuously growing selection of coffee. You will enjoy our large variety of coffee products.